As someone who spent most of her days as a young girl with her grandfather or watching Nick at Nite, there are many pop culture icons of yesteryear that are familiar and endearing to me, such as Mark Twain, Woody Guthrie and ﻿Aunt Bee and Opie. 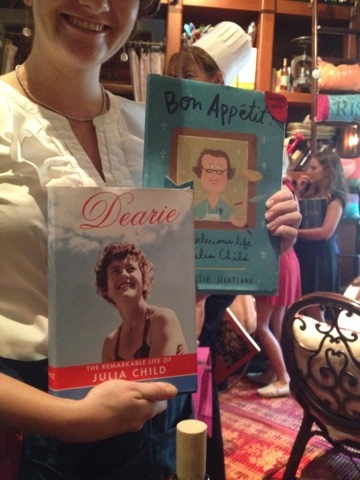 Julia Child, for some reason, was one that I've come to know more and more growing up. What a woman of courage and substance! 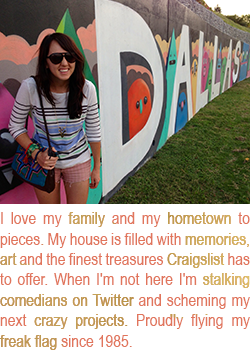 I've enjoyed everything I've read about her. Her 100th birthday was last week and we were so lucky in Dallas to be able to celebrate it with such flair at Rise No1's birthday luncheon in her honor. One of the things I really love about Rise is the homey decor that is quirky without ever being campy. 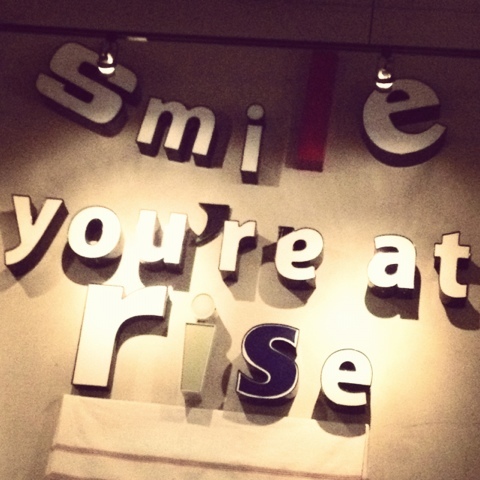 I love marquee letters (we have our initials in our back yard that I purchased from Junkadoodle), and this sign really does its job every time I walk into Rise! As we spoke with our friendly waitress, she let us know that we were seated at the Bush Family Table (a four-up right by the front door for optimal people watching). The Bush family loves Rise and if you sit at the table you'll see the his and hers autobiographies on the bookshelf. Move your silverware and open the top of the table (it's actually a restored vintage French school desk) to see where different members of the family and their friends have signed it at each visit! 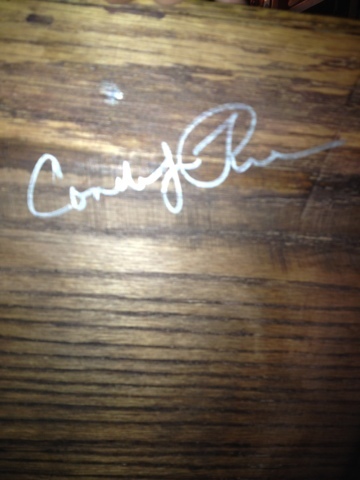 I was in Condoleezza Rice's seat. 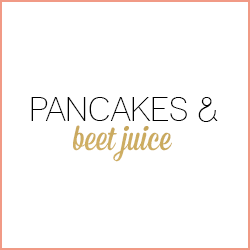 Talk about a power lunch! Below is proof that you can find good service dressed in drag outside of Cedar Springs. 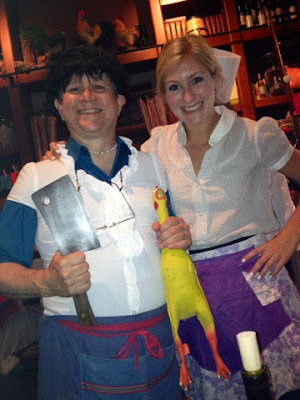 We loved the ﻿chef's Julia outfit! I love grabbing lunch with these gorgeous and fun women! 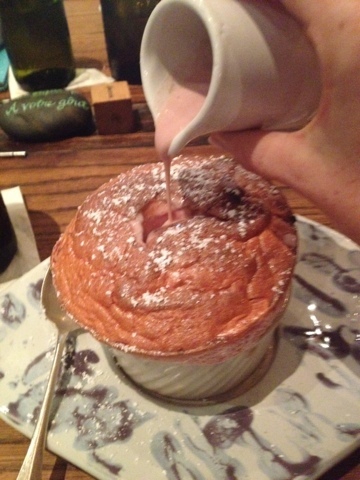 A trip to Rise really feels like you're getting away -whether it's from the office or your regular date night spot. 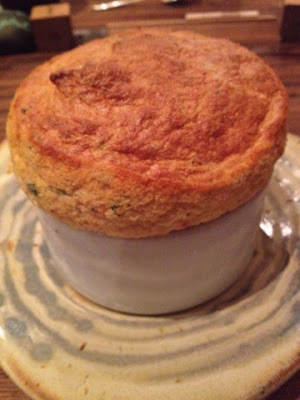 ﻿I always feel light as a feather and happy as a clam after a meal at Rise and can't wait to go back! 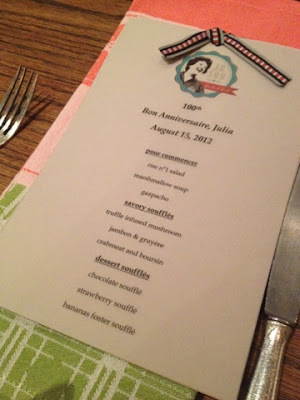 I've heard whispers that their Julia Child birthday celebration may become an annual traidion. Mark your date books now! 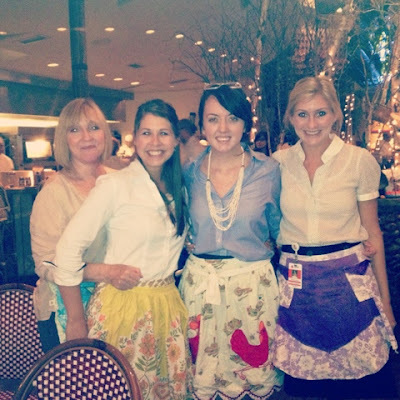 I love all of those aprons! Looks like it was such a fun lunch!